Most, if not all, superhero stories start with an unknown , a nobody , being called to greatness. 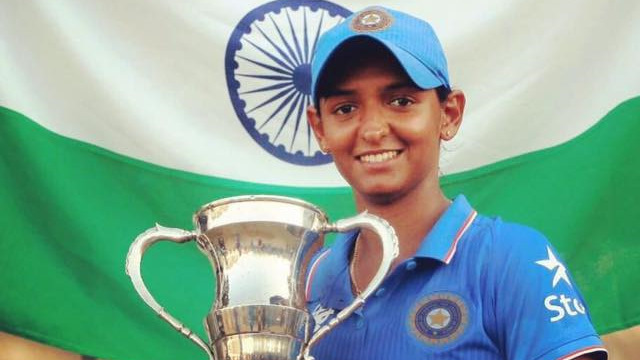 Same thing happened with our Women in Blue – Harmanpreet Kaur. Until few days ago, hardly a few people knew about her talent in cricket. And today the whole of India Salute her for the talent. AT the age for 28 years , this women has won the hearts of Millions of people. Everyone including the Cricket board, political party, common people, her fans are praising her breathtaking performance in the semifinals against Australia.There was a time when she was in need of the job but she was rejected number of times. But she had already set her mind frame - “I'm tough, I'm ambitious, and I know exactly what I want. And this is what she proved not only to herself but to all of us.She has been a real inspiration for the younger generation. Tough luck for yesterdays game but womens cricket in India has truly arrived. Kudos to all Girls .